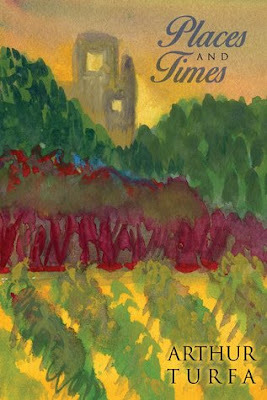 Places and Times is a collection of poems by Arthur Turfa that are full of beautiful descriptions from America to Europe to Mexico. I loved the slow and steady pace of Turfa's verse, powerfully filled with lots of emotion. I thought the poems were all well presented in the best possible order, so that midway through you find yourself on a summit, seeing the drop ahead and the inevitable powerful halt at the end. This is a collection I will hang on to and read whenever I want to understand the ups and downs of life.